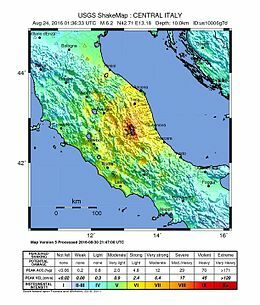 ^ 1.0 1.1 1.2 1.3 1.4 1.5 M6.2 - 10km SE of Norcia, Italy. United States Geological Survey. 2016-08-24 [2016-08-24].